I haven't had much time too run around for craft supplies lately, so when I had to go to Dollar Tree for a few things, I was struck by the fall-colored silk flowers right as I walked in. I knew I had to find something to do with them. I came out of the store with three bunches of silk flowers, a small wreath, and some foam sheets. I cut off a few of the blossoms that I liked. I tucked them into the wreath. I took a sheet of the foam and traced a backwards G on it. I did it backwards so I wouldn't have to worry about making sure I got all of the marker trimmed off. I cut it out, and attached it to the wreath. I used tape, though, if I do end up hanging it on the front door, I'll attach it more securely. And, that's it! I think I'll find a place to display it inside for now, but It may end up replacing the current one on the front door! Now, for the link up! Join us! * Please follow your hosts in some way. We love connecting! * Visit the other links and leave some comment love. 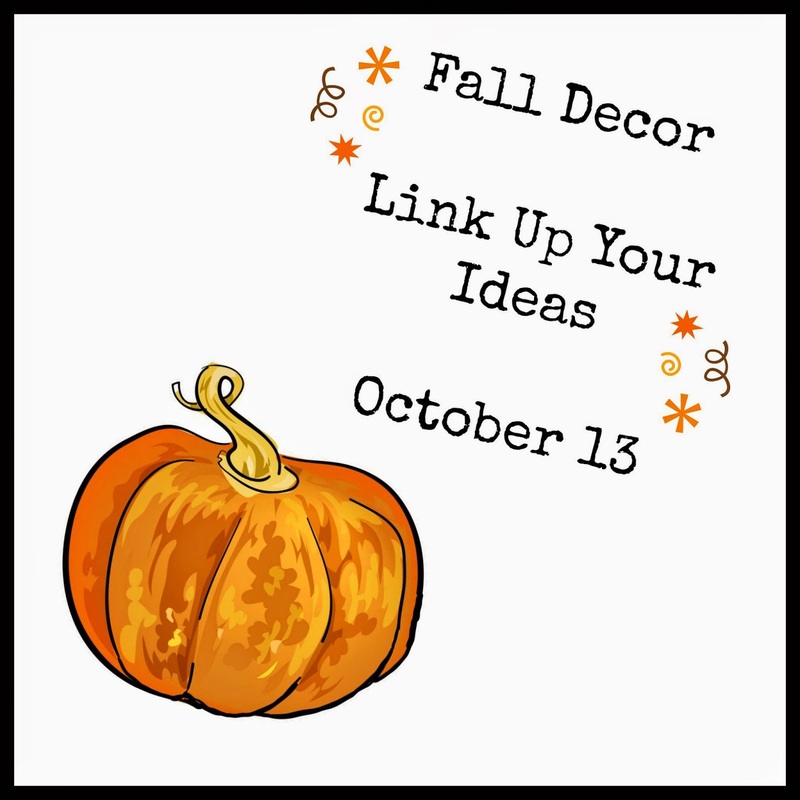 * By linking up, you give us permission to share your blog or image on our blogs and social media. Proper credit and link will be given. * Remember to grab a button to link back.